Of all the venerable JRPG franchises, the Tales series is the one that I have the most complicated relationship with. 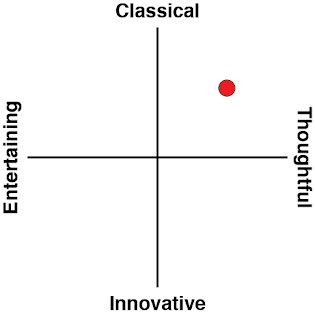 The truth is that I simply don’t enjoy them all that much. While I do appreciate some of the series’ hallmarks (they tend to represent inter-character relationships that are by turns both deep and charming), there are other features, such as that action combat system the series continues to iterate on, that really don’t work for me. Related reading: You can check out Matt's review of the previous Tales game on PlayStation 4, Tales of Zestiria, here. With that as context, I’m happy to say that Tales of Berseria is completely different. There are various reasons for this, which I’ll outline below; in summary, this game offers a more mature and intelligent narrative and more interesting characters than we’ve seen in the series previously. Generally speaking - and with a series that has been around for this long, it is only speaking in broad brushstrokes - the Tales series has been one about heroes doing heroic things and generally behaving like heroes. 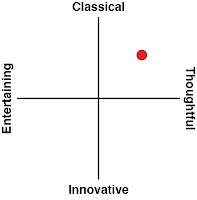 Even when characters fall outside of this, they tend to be righteous and noble, and even when the plots aren’t focused literally on saving the world, they tend to be quite epic in scope. Tales of Berseria is different. The characters find themselves wrapped in a quest of earth-shattering importance, but at the very core of the game, this Tales is a far more personal story of a young woman on a quest for revenge. Revenge against a man she loved as part of her family (her brother-in-law) who betrayed her and slew her little brother, no less. This woman, Velvet, is transformed into a demon as part of the same ritual that killed her brother, and as a result she’s imprisoned for years, becoming ever more bitter and violent in the process, before an opportunity to escape presents itself, and Velvet can start tracking down her betrayer to exact her revenge. Along the way she meets up with a truly eclectic bunch of demons and fringe-dwellers, who form her anti-heroic party as they move from town to town, doing a mix of noble and horrific things in the pursuit of their goals. 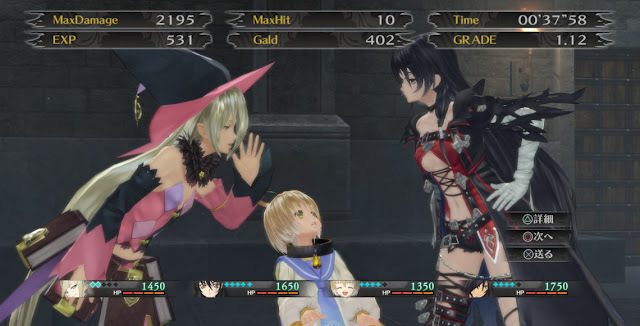 While this Tales game shares a similar bright, cel-shaded aesthetic with the others in the series, its storytelling is far darker, to the point of being downright sinister. Velvet has absolutely no issue with destroying and murdering anything and anyone that gets between her and her goal, and without giving away too many plot points, this is represented very early on when she burns a town to ashes and dooms an entire population that was standing between her and progress towards her target. There is more to it, of course, and it wouldn’t be a JRPG if there weren’t twists and turns throughout as it drives us to the inevitable conclusion; but nonetheless, the theme of revenge is the dominant motif for Velvet, her quest, and the others she drags along with her. And why not? Revenge has been a popular theme in the arts for as long as the arts have been around, and there are plenty of good discussions that can be had around these characters and their actions. In Berseria, the person who killed Velvet’s brother and turned her into a demon is a high-ranking leader of a religious-style order and thus unassailable by the legal system (which is structured to make him a leading lawmaker anyway). From that point of view, Velvet’s actions within Tales of Berseria may be perceived to be justified. On the other hand, Velvet hurts many innocents along the way - the “going overboard” the passage above refers to - and it can be argued that her brother-in-law’s actions were themselves justified, as the sacrifice was intended to combat a blight that was turning humans into demons and destroying entire communities. 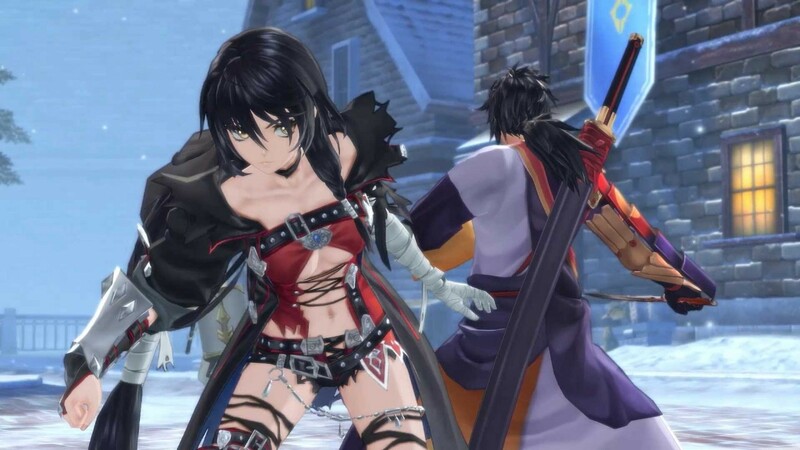 And so, while the latter half of the story becomes a little too contrived in trying to provide answers (it’s not the first time a JRPG has struggled to maintain its philosophical focus throughout its runtime, and it won’t be the last), overall I found myself musing over what’s going on in Tales of Berseria to a far greater degree than I have done in previous games in the series. That’s partly because moral philosophy is of a great deal of interest to me, rather than some of the other topics the series has dealt with in the past, and I certainly found myself connecting more with Velvet’s character than any other “hero” from the franchise. As with other Tales games, part of the reason for playing is to watch the characters in the party around Velvet interact with one another; the banter and camaraderie between them is tonally perfect, and as you’re not playing a team of heroes this time, but rather a group of destitutes and monsters, there’s an even greater sharpness to their interactions, which are often deeply amusing. Magliou, a witch who is heavily inspired by the school of Harley Quinn characterisation, is a real highlight, and instantly became one of my favourite female characters out of all the JRPGs that I’ve played. 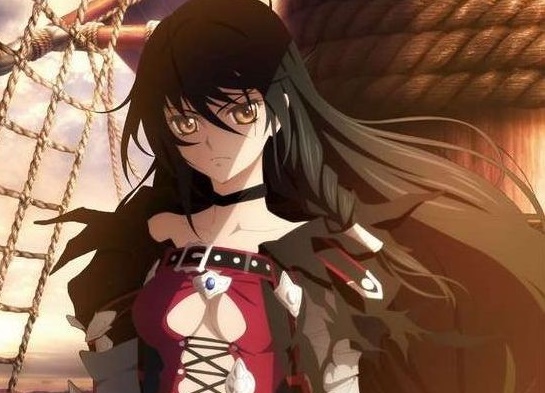 Storytelling aside, Tales of Beseria is disappointing in other, less critical ways. The game’s art style is beautiful, but clearly hindered by the fact it was also developed for the PlayStation 3 in Japan. Environments are small and generally lack detail, and there’s some quite significant pop-in that tends to break immersion; trees will jump into existence only a short distance from running into them. Character models, however, are gorgeous, and given that this game is all about the characters and narrative, I’d say Bandai Namco got its priorities right. 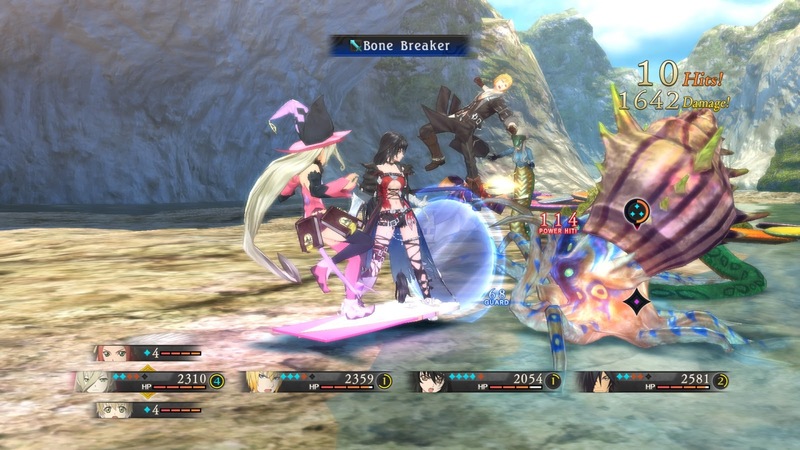 The combat system is also fairly traditional: if you’ve played a Tales game before, you’ll know exactly what to expect. You need to press buttons in various combinations to attack enemies in real time, and while you’re given enough time to stop and think about strategy, I’ve never really enjoyed the stop-start flow of this series’ combat, nor the generally uninspired boss battles and minimal variety between regular enemies. If there has ever been a JRPG for which I’ve been happy to sit through a combat system I’m not enjoying, for the sake of the broader game, it’s this one. One final irritant - and as petty and minor as this is going to sound, it really has annoyed me: Bandai Namco has blocked the ability to take screenshots at any point during this game. Whether this is patched out after release, or exclusively a block on review copies of the game, I don’t know; but as someone who really likes to take screenshots while playing games, it’s quite irritating that Bandai Namco keeps blocking me from doing so (the previous Tales game was the same). 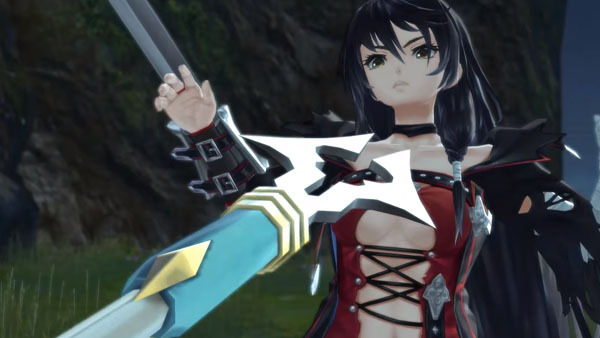 If story-critical games like Yakuza 0 and Final Fantasy XV can allow free use of that screenshot button, there’s just no excuse for Tales of Berseria to not follow suit. If Velvet’s party of anti-heroes were written by lesser writers, the thirst for revenge would have tired us out far too early; revenge is a state of mind of heightened emotion and impact, and over the course of a full-length JRPG the passion and anger would have boiled over far too soon. But, thanks to brilliant characterisation and the ability to throw some genuine humour and moments of softness into the mix, the team at Bandai Namco has been able to deliver one of the most refreshingly nuanced quests that we’ve seen in this series, and for the first time in a very long time, I haven’t been able to put a Tales game down.